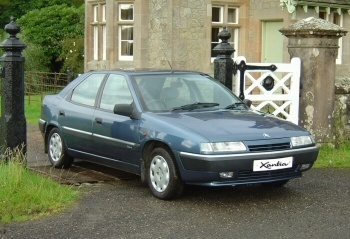 Have you driven a 1993 Citroen Xantia? Displaying all 3 1993 Citroen Xantia reviews. 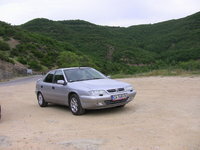 Citroen Xantia 2.0 Lx 1993 — The 2.0 8v 123bhp engine is loud, uneconomical, unresponsive and slow. It does provide a reasonable quantity of torque though. Hydraulic suspension fun to play with, expensive to fix. Also sounds like a piece of construction equiptment with the amount of strange and bizzare noises it creates. The example I drove had a Sebring double exit back box, which looked really smart and didnt make an unnessesary drone. The ride was unpleasant, and used to bang and crash it's way over bumps. The brakes are hard work, with on or off settings on the pedal. Driving position is awkward and uncomfortable. Considering its a big car, the driver doesn't seem to benefit much from all this space. Everyone will assume you are a taxi driver if you own one. Excellent Car! — Perhaps Jeremy wouldn't approve of it, due to its French origin, however it's an amazing car.